With the help of a GPS device and DHL, artist Erik Nordenankar have drawn a self-portrait on the planet. 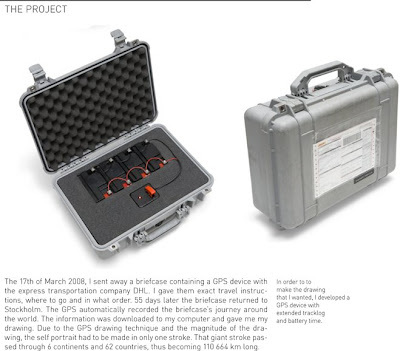 He put a GPS device in a briefcase and mailed it via DHL with precise travel instructions over the course of a 55 day period. 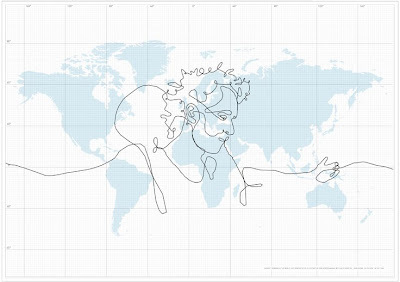 After the journey, the GPS data formed a virtual self-portrait of the artist that spread over 6 continents and 62 countries covering nearly 70,000 miles.